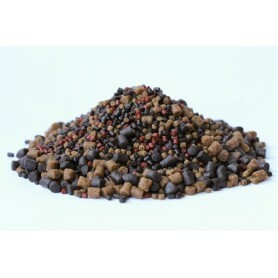 Pellets/Groundbaits & Stick Mixes There are 14 products. This incredibly attractive, moist loose feed mix has been carefully designed by our experienced bait technicians to be the perfect product for using in PVA bags and sticks when fishing with Live System Boilies and other products in the Live System Range. These highly attractive, custom made 3mm pellets contain the same powerful liquid attractors as Live System Boilies & Paste making them the perfect ‘micro’ loose feed or bag mix ingredient for anglers fishing with Live System Boilies and other products in the Live System Boilie Range. These highly attractive, custom made 2mm pellets contain the same powerful liquid attractors as Pacific Tuna Boilies & Paste making them the perfect ‘micro’ loose feed or bag ingredient for anglers fishing with Pacific Tuna Boilies and other products in the Pacific Tuna Range. This highly successful pellet mix is a blend of our most potent fish-attracting ‘mini’ pellets, making it a superb readymade PVA bag product. Mini Ultramix has been used by top anglers for many years as it breaks down at different speeds, leaking powerful attractors and appetite stimulants in the water, constantly pulling fish into the area. Salmon Micro Feed, sometimes known as Salmon Fry Crumb, is a superb product for forming a carpet of small food particles that will attract fish and hold them for a prolonged period of time. 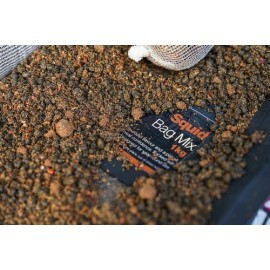 This outstanding PVA bag mix has been designed by some of the most successful day ticket anglers in Carp angling. This incredibly attractive loose feed contains a carefully selected mix of human food-grade nut products which have been combined with a sweet, creamy powder blend to create a powerful, feed-stimulating loose feed. Krill are small crustaceans, which live in the Antarctic Southern Ocean and contain both high quality protein and oil. Their protein contains essential amino acids and their oil is rich in nutritionally beneficial omega-3 fatty acids.